Watch a short video clip of this episode above or hear the full interview below. Tim Manley is one of my favorite people with whom to talk, write, and share a storytelling stage. His honesty makes you feel at home just listening to him, and his generosity nudges you to ask him a good question. And then another. The benefits of looking at your accomplishments through the 5-Years-Ago Lens. Click the player below, or listen and subscribe in iTunes. Find previous episodes of Retrospective here. Tim Manley is the writer and illustrator of Alice in Tumblr-land: And Other Fairy Tales for a New Generation (Penguin Books). It is based on his tumblr, Fairy Tales for Twenty-Somethings. 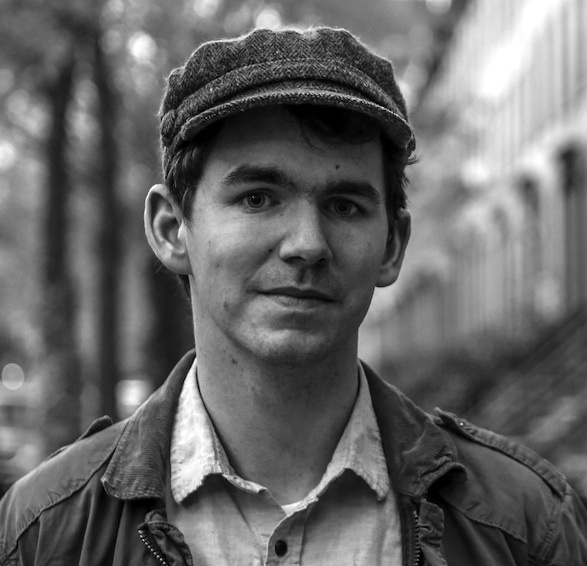 Tim is a Moth StorySLAM winner, mentor with PEN American Center’s Prison Writing Program, and a former English teacher at School of the Future in New York City. He has officiated eight weddings, one of which was Beatles-themed. and how to build trust in the model of working slowly, with time on your side. Click the left arrow on the player above to play the episode, or subscribe and listen to Retrospective in iTunes. 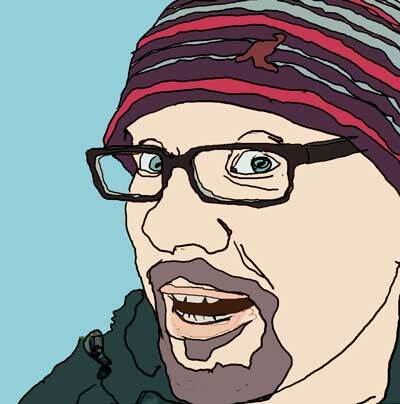 Michael Nobbs is a full-time artist, blogger and tea drinker (not necessarily in that order). He is author of the popular blog, Sustainably Creative and writes, tweets and podcasts about drawing and trying to keep things simple. In the late 1990s he was diagnosed with ME/CFS and over the last decade and a half he has learnt a lot about sustaining a creative career with limited energy. 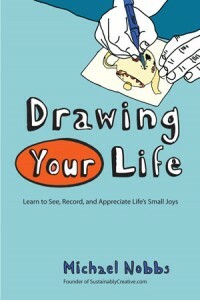 His new book, Drawing Your Life (made one page at a time!) was be published by Penguin/Perigee Books on 5th March. 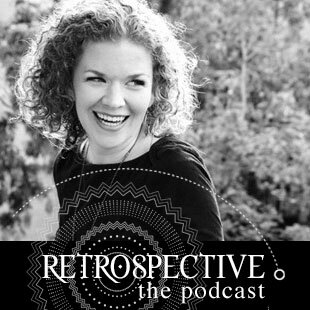 In this episode of Retrospective, I talk with my friend Ophira Eisenberg right before her new memoir releases nationwide. You may have heard her on NPR, seen her stand-up comedy recently onThe Late Late Show with Craig Ferguson or had the pleasure of seeing her live onstage. Click the player below to listen, or listen and subscribe in iTunes. Find previous episodes of Retrospective here. dealing with "What will 'they' think?" Screw Everyone: Sleeping My Way to Monogamy is now available on Amazon. For Ophira's storytelling wisdom, check out the Telling Your Story multimedia course. 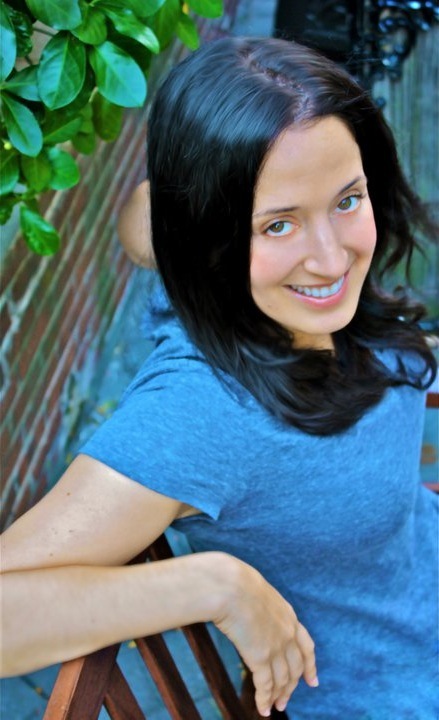 Ophira Eisenberg is a stand-up comedian, host of NPR's Ask Me Another, and a writer. She has appeared on Comedy Central, VH1, E!, and the TV Guide Network. She is also a regular host and storyteller with The Moth. Find her online at ophiraeisenberg.com. In this episode, meet author Caren McLellan Gazley, whose wisdom and friendship have mentored me for most of my adult life. Her career has centered around being of service, whether under the umbrella of faith communities or international humanitarian work. Grab a warm, steamy drink, dim the lights and press play to be transported to my kitchen table with us. Caren McLellan Gazley is a soul care specialist and human rights activist whose work has led her to places like Mauritania and Albania. Still an L.A. girl at heart, Caren has deep wisdom drawing from her rich personal experiences about caring for yourself in the midst of parenting, partnerships, community and passionate work. She is the author of Ritual & Rhythm: A Guide for Creative Self Care.